It's LGI who produced the Map of the week seven in 2006. Something I love about LGI is that he has his individual mapping style, so that you can tell a map is from him without looking at the author name. If you want a good example of "LGI-style", take a close look at Hocus Peakus: Love for symmetry, not trying to hard to create a natural look, massive amount of doodads, not only for decoration, but also to create terrain features. Doodad blocking is actually unproblematic for pathing, I wonder why we do not see this more in mapping. Needless to say this map is really playing well, it is already being played heavily on the headoff server. Get your free copy of (4)Hocus Peakus now! Click here to download. Romanov Standoff is just as unique as its name. This 2player-spacemap mainly draws attention because of the rich and precious triple expansion island which will definetly attract every greedy player out there on the battle.net. However, it is not an island map, and thus, there will also be a lot of fighting around the standard expansions on the bottom half of the map. We are waiting for YOU fighting some battles on it, so do not hesitate! But take care you do not get sucked into the black hole in the mapcenter! Finally, you can drop a comment here, or just download it here to post your replays here. Overall, the map is truly worth a try. The expansion layout on the whole map is nothing but outstanding; and as this is combined with a pure sense of originality, Romanov Standoff is out MotW 2006.06. Well since im making the newspost, i will take the liberty of choosing the map :P The fight was between this map and doing the dying this week, however i believe doing the dying is confusing since flo overkilled the tileramp concept on it. Neo Strawberries is a 2 playermap with the little more unusual size 96(w)x128(h). It has an nearby expansion blocked of with a neutral building and a more standard natural just below the ramp. noname also used the bridge tiles (the one with stripes on them) to create a unbuildable asphalty area in the center. Overall the map feels very straightforward and with a reasonable amount of different paths you can harrass in many different ways. 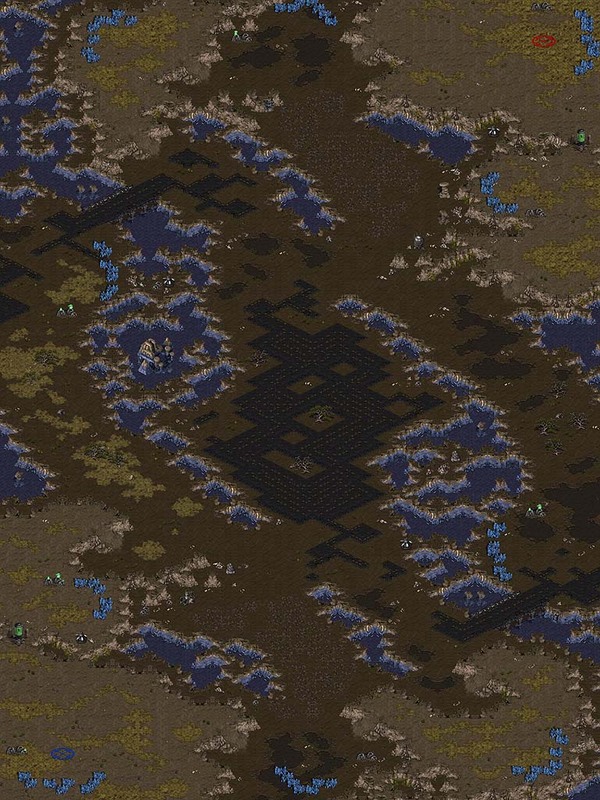 If you like this map, check out its mapthread to download or post a comment on it. Also beware that this is 0.4, thus not a final version, and updates might be made on short notice. Congratulations noname: MotW 2006.05 - Neo Strawberries! So the second Headoff G.I. User Maps Tournament was played. And here is the whole story from the start to the final. From all the 16 players that were registered, all bulgarians, Makaveli[BG], Me_mYsTiCaL, Xs-Sup3rSlab and eSu.TechnicS didn't showed up. eSu.TehcnicS send a player to replace him, and that was [TF]...Unique who won vs the winner from Headoff G.I. 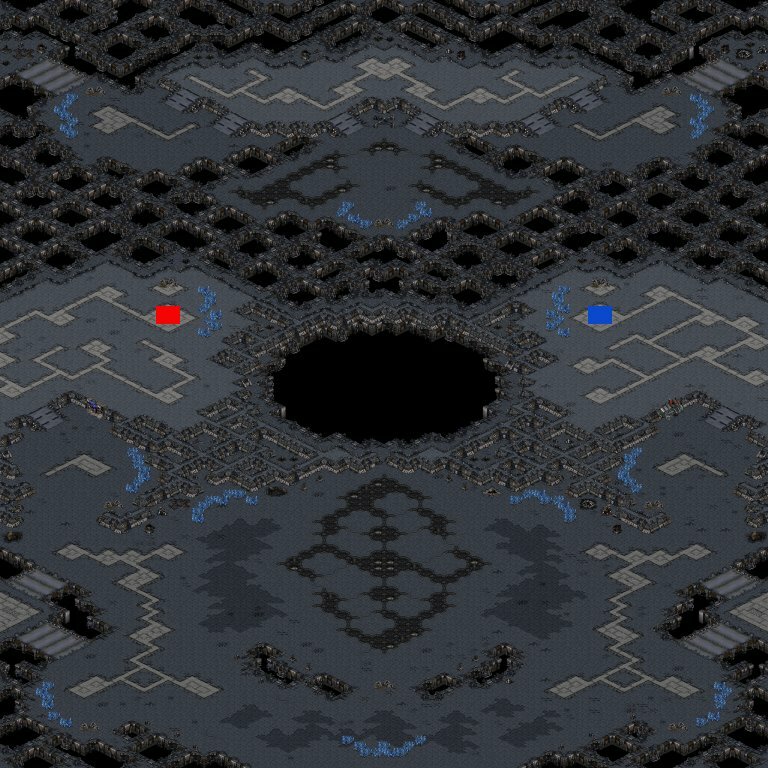 User Maps Tournament 01 - virus_protoss 2:0. So the first game in the final was on Memory Cell by trcc. nF_ChaNce played as terran with 261 apm and win easy in 15 minutes game vs PAIN who played zerg with 286 apm. The score was 1:0 for nF_ChaNce. The second game PAIN pick the first map from the map pool and this is Space Lotus 1.1 by Starparty. nF_ChaNce was terran again with 244 apm, and PAIN was zerg again with 263 apm. The game was short again. Only 12 minutes. But those 12 minutes were enought for nF_ChaNce to win again vs PAIN. So the final score was nF_ChaNce 2:0 PAIN and nF_ChaNce won 25 euro + showmatch vs Mireille. Visit gg.net for a more detailed newspost.